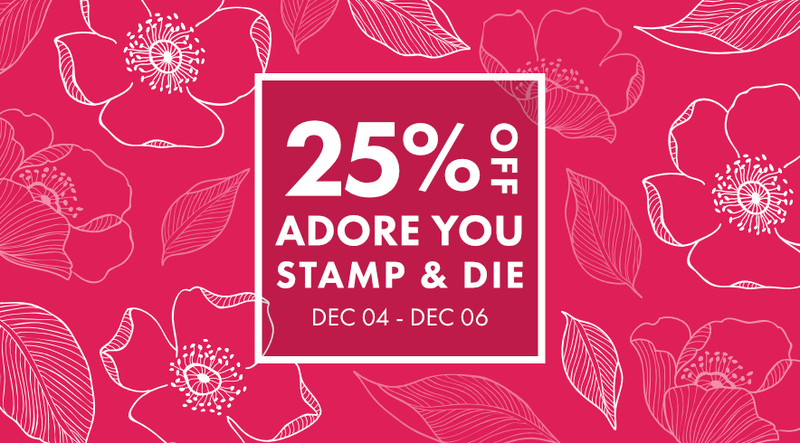 Save 25% on the Adore You Stamp & Die Bundle valid now through midnight EST on December 6th. While supplies last No coupon code needed to enjoy this deal! Hello there! 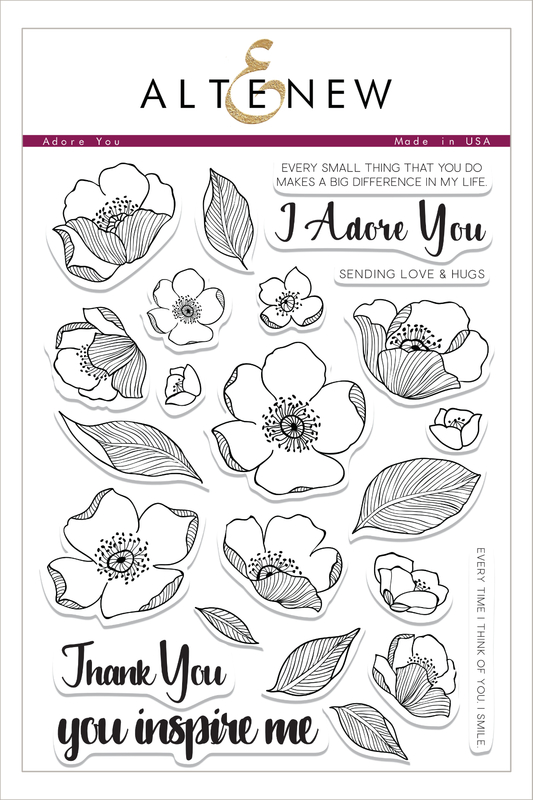 Welcome to our Stamp Highlight and this month we are featuring Adore You Stamp Set. You can also mix use the Coordinating Die Set to cut out the images quickly and easily to add depth and dimension to your projects. These images look amazing when stamped flat or popped up, or even a mix of the two. Both the stamp set and die set are available as a bundle. These beautiful images stamp beautifully with our Crisp Dye Inks, so when used as a background or focal point the images will look amazing. You can get a closer look at the stamp set in the Product Intro Video above! 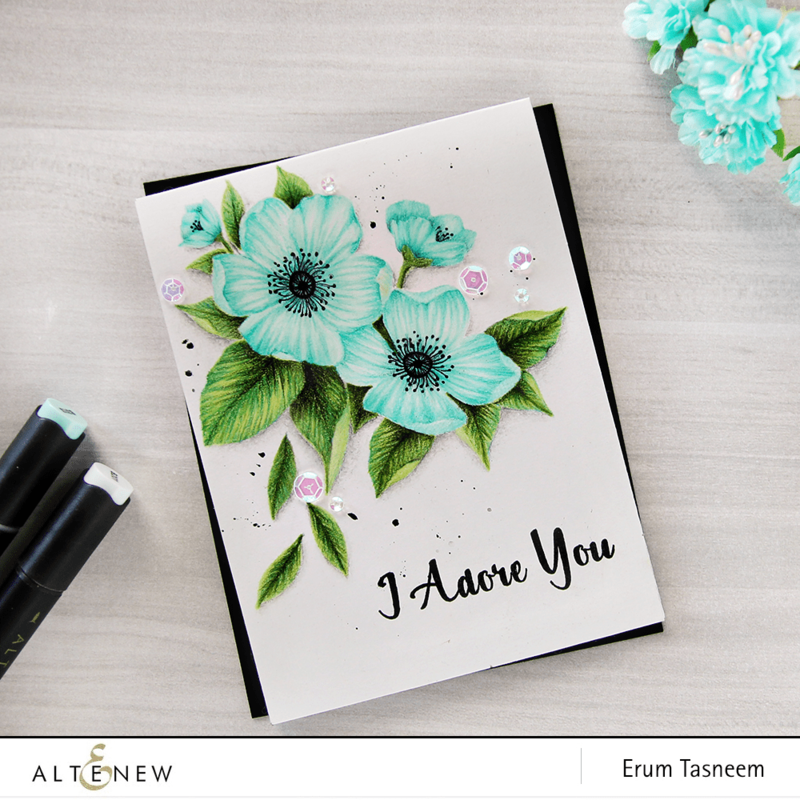 Isn’t Erum’s card just a stunner! Her coloring skills are just amazing and it just goes to show when these images are colored up in a no-line technique they can look more relistic. For more information on this card please click HERE. May’s card is just stunning! We just love how just stamping the images out in one color can make such a gorgeous background. Just change up the sentiment on this card and you have a card idea that will work all year round. Click HERE for more information on this card. 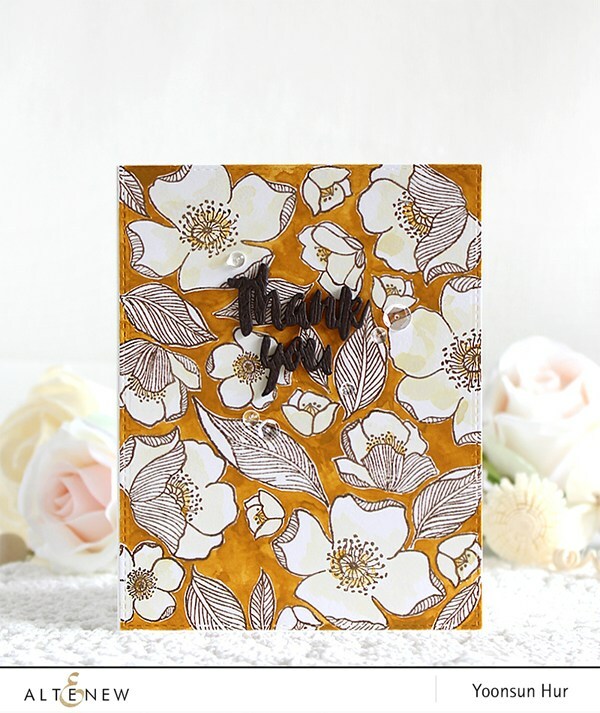 We just love this gorgeous CAS card by Aga. It’s so unusual! 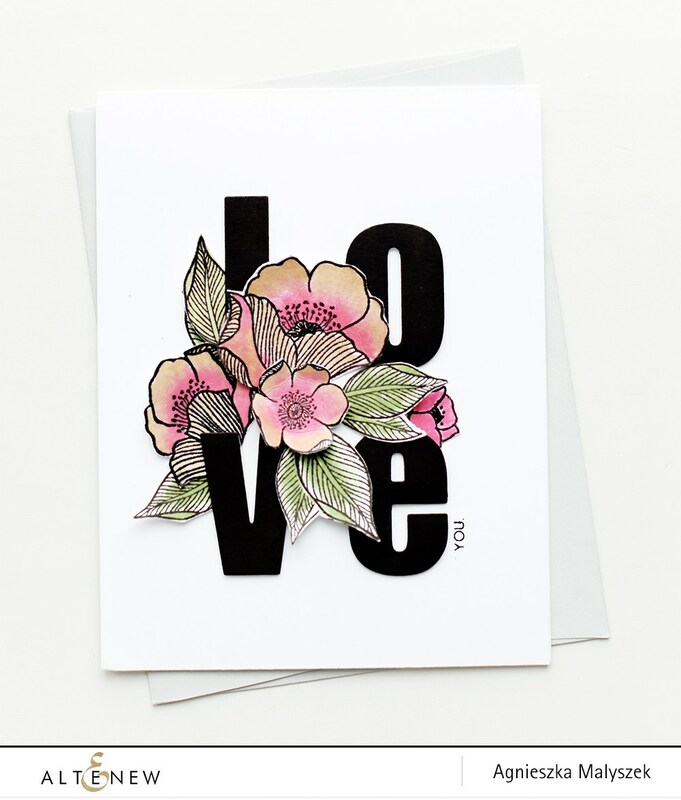 Pairing the delicate blooms with Bold Alphabet Die Set works incredibly. For more information of how she created this card please click HERE. Yoonsun’s take on a background is so clever. Instead of coloring the images themselves she left them white and colord around them. We have to say we really like this look and would work for many different occasions. For a closer look at this card please click HERE. 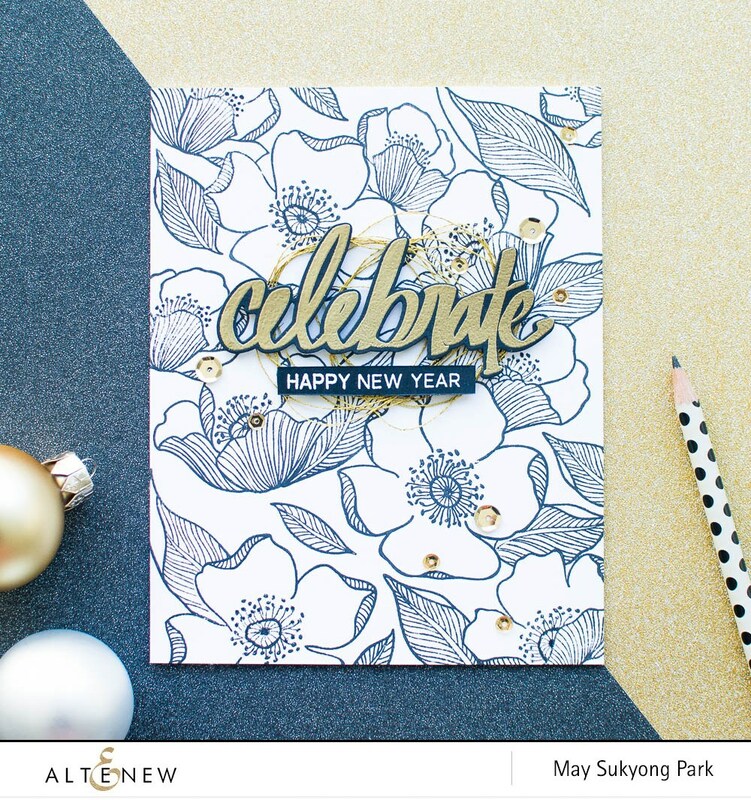 We hope this Stamp Highlight has given you some inspiration and given you a fresh look on this firm favorite. 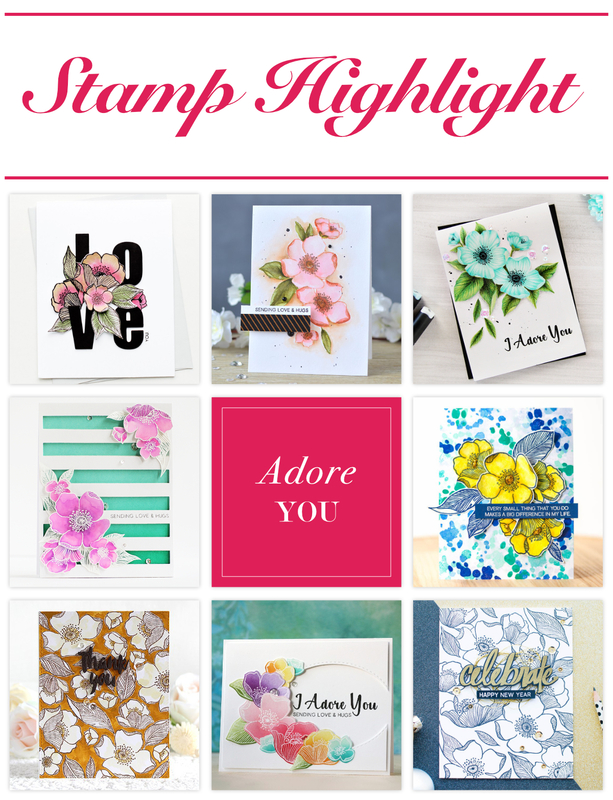 Please let us know what you love about this stamp set, we’d truly love to hear your thoughts in the comment section. Beautiful florals for any occasion. Really Gorgeous flowers and cards!!! How creative…such variety with one set. I think I am going to get out my Adore You stamp set again. These beautiful cards give me ideas to try and different colors that I would not have used with this set. Thanks for the inspiration. cards with this beautiful set. I love this stamp set. Now, could you just send me a money fairy so I can get all my heart desires. Please.